Vicki Doudera here. Most of you know me as the author of the Darby Farr Mysteries, a series that stars an Asian American real estate agent who solves crimes and makes deals. Final Settlement is the fourth book in the series, with Deal Killer due out in April. I’ve also written several guides to my state, the most popular of which – Moving to Maine – will be updated and republished in 2015. In addition to my writing career, I’m a broker for Camden Real Estate Company, helping buyers and sellers find new homes or move on from the ones they own. It’s engrossing, enjoyable work, and I’ve been at it a decade now. Working as a real estate agent is rewarding in many ways. It not only pays the bills but gives me my much-needed “people outlet” as I’m a full-on extrovert, unusual in the writing world! I’ll be forever thankful to the profession because it’s what inspired me to come up with my mystery series in the first place. I’d always wanted to write fiction, and somehow real estate gave me the key to unlock that creative door. And it continues to give me gifts. 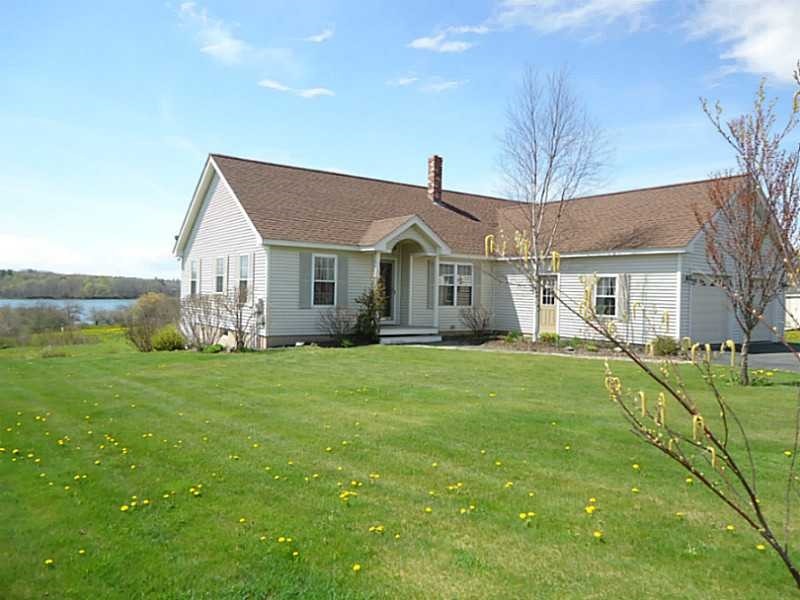 On Monday, I will sell a water view home in South Thomaston to a lovely couple from Texas, Carolyn and Ted. I’ve been emailing these folks for years – sending them updates on homes – and every now and then, reaching out to see if they were still interested in moving to Maine. This spring, when I jotted off a little note, Carolyn wrote back to say that they were indeed ready to come, and had listed their Texas house. A week later, she wrote to say it was under contract. 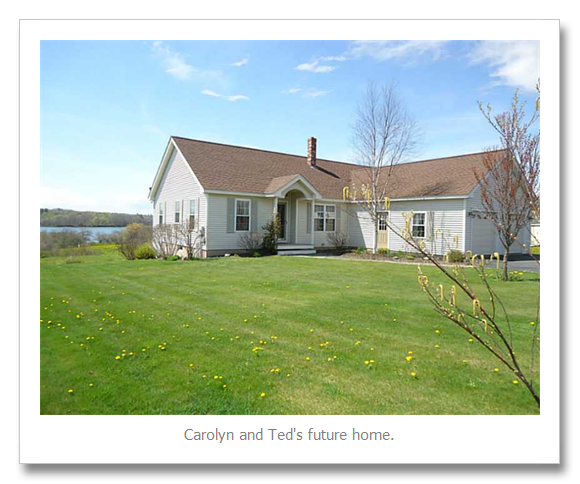 In early August, Carolyn and Ted flew to Maine and we looked at homes for several days. These folks have never lived in a cold climate, so it was fun to educate them about heating systems, plowing, and R-values in insulation. They were eager and excited learners, but it was evident they were fish out of water – or longhorns out of pasture! Finally I asked them the obvious question: why Maine? Neither of them has family here. Neither went to college in one of our wonderful little institutions of higher learning. Neither spent summers in a rambling “cottage” in Bar Harbor or a quiet lakeside camp in Bridgton. Here’s why they are purchasing a home in Maine on Monday: they read one of Sarah Graves’s mysteries. “Her descriptions of Maine were just so beautiful,” Carolyn told me. “I told Ted that I had to visit Maine before I died. And then when we came, we just fell in love with it all, and decided to make the state our home.” Eastport proved to be just a little too far-flung, so the couple settled on the midcoast, but it was Sarah’s words that inspired them to make this major life change. In real estate, it’s pretty easy for me to see how my actions influence and hopefully help my clients. I can reassure them about radon remediation, recommend a thorough building inspector, give them a tour of the town’s daycare centers. I’m brutally honest about whether they are making a smart investment in a neighborhood. But as a writer, it’s much more difficult to see the impact my stories may have. We meet readers, or hear from some of them, but we don’t always now how our words reach out and touch others. I’m betting that Carolyn and Ted will not regret their move to Maine. I think they’ll thrive in their new climate and home. I’ll be here to help them along the way with any questions they have, but they are so clearly up for this new adventure that I’m sure they’ll succeed. Meanwhile – a message to my fellow Maine Crime Writer —- next time you’re in Camden, Sarah, lunch is on me! This entry was posted in Uncategorized and tagged Camden Real Estate Company, Darby Farr Mysteries, Moving to Maine, real estate, Sarah Graves, Vicki Doudera. Bookmark the permalink. Post a comment or leave a trackback: Trackback URL.